It has been reported that singer Diane Charlemagne has died after a long battle with cancer. She was 51 years old. Charlemagne was best known as a member of British techno/house group Urban Cookie Collective, who enjoyed a huge hit single back in 1993 with The Key: The Secret. 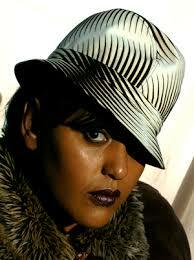 She also featured on Goldie’s Drum & Bass classic Inner City Life. Rest In Peace Diane Charlemagne.